*Image found on Google: no copyright infringement is intended. It's never fun to make a sympathy card. But things happen and you have to do what you have to do. I made this card for my aunt. I hope it brings her a little comfort. 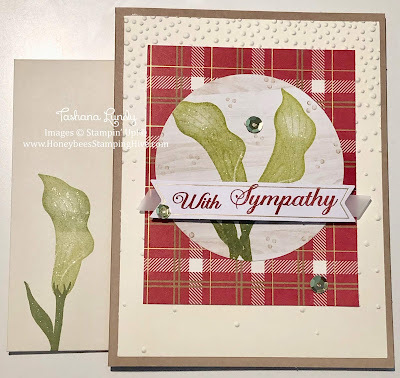 I used the November 2018 Paper Pumpkin Kit along with a New Sale-A-Bration stamp set, Lasting Lily, that will be available to earn in January 2019. I used the Softly Falling TIEF for the background and stamped on the envelope as well.